Bhubaneswar: The Assembly Committee today summoned on Abhijit Iyer Mitra for breach of privilege of the House and legislators. Mitra has been asked to appear before the Committee at 11 am on October 11 at Room No 54 in the Odisha Assembly premises, said Committee chief and Leader of Opposition Narasingh Mishra. Decision to this effect was taken at the second meeting of the Committee that met today. The first meeting of the House Committee led by Mishra was held on Saturday where it was decided to inquire whether he had committed breach of privilege of the House and legislators before summoning him to appear. Today, Director General of Police Dr RP Sharma, Intelligence Director Sunil Ray, and certain media persons appeared before the committee. Speaker Pradip Amat had constituted the House Committee to inquire into derogatory comments allegedly made by Iyer against Konark and Puri temples, Odisha, Odia people and MLAs. 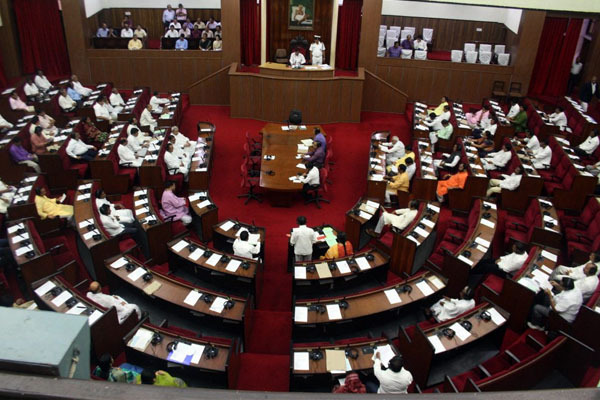 The issue agitated members of the Assembly cutting across party lines during the Monsoon Session leading to several adjournments and forcing the Speaker to form a House Committee. Other members of the committee are Parliamentary Affairs Minister Bikram Keshari Arukha, BJD MLAs Arun Sahu, Debi Mishra, Sanjay Dasburma and Pramila Mallik and Leader of the BJP legislature party KV Singhdeo. Tags: Abhijit Iyer MitraAssemblyNarasingh Mishra.